Below you fill find all funeral homes and cemeteries in or near West Liberty. Suburbs of West Liberty: Centerdale. West Liberty is also known as: Muscatine County / West Liberty city. Their current mayor is Mayor Lawrence McNaul. Zip codes in the city: 52776. Muscatine County funeral flowers can be purchased from one of the local funeral shops we partner with. Our family and professional staff are dedicated to serving your family at life's most difficult times. We are honored to help your family and friends find comfort and healing while celebrating the memory of a life well-lived. 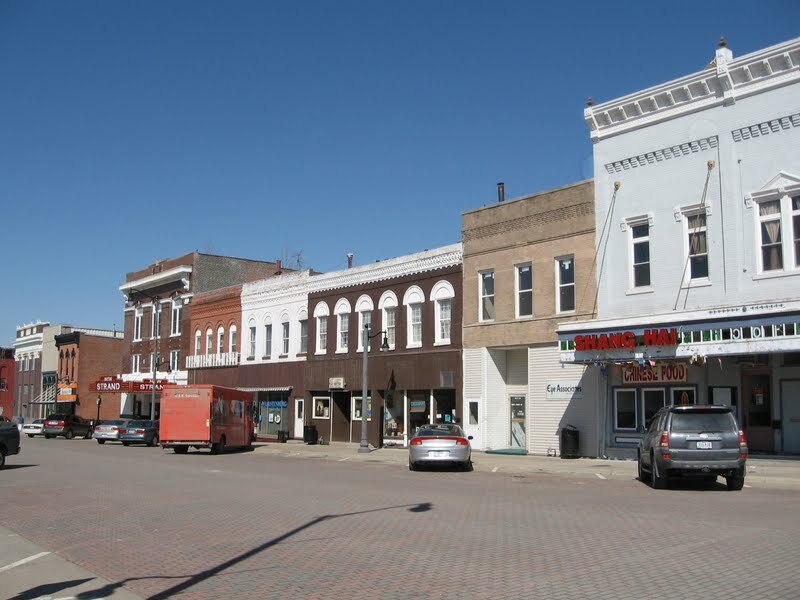 Some of the notable people born here have been: (donald chelf), and (samuel w. koster). West Liberty is a city in Muscatine County, Iowa, United States. The population was 3,736 at the 2010 census. It is part of the Muscatine micropolitan area.West Liberty is located 5 miles south of Interstate 80 on Historic Highway 6. The city is home to the West Liberty Raceway, located in the Muscatine County Fairgrounds. The Muscatine County Fair takes place in West Liberty in July of each year. It was written on March 7th, 2017 that Viola Me Ryan (Carter) passed on in Nashville, Arkansas. Ms. Ryan was 89 years old and was born in West Liberty, IA. Send flowers to express your sympathy and honor Viola Me's life. It was noted by Des Moines Register on November 9th, 2016 that Mason Christopher Klein passed on in West Liberty, Iowa. Send flowers to express your sympathy and honor Mason Christopher's life. It was written by Waterloo/Cedar Falls Courier on August 1st, 2014 that Cornelia H Thomas passed on in West Liberty, Iowa. Thomas was 100 years old. Send flowers to share your condolences and honor Cornelia H's life. It was revealed by Des Moines Register on May 15th, 2013 that Richard E Hayes passed on in West Liberty, Iowa. Hayes was 46 years old. Send flowers to express your sympathy and honor Richard E's life. It was noted on July 24th, 2011 that Joyce M Brick (Middleton) passed away in Carmichael, California. Ms. Brick was 95 years old and was born in West Liberty, IA. Send flowers to express your sympathy and honor Joyce M's life. It was reported by Quad-City Times on January 22nd, 2004 that Lillian Scott (Beyer) died in West Liberty, Iowa. Ms. Scott was 104 years old. Send flowers to express your sympathy and honor Lillian's life. It was written by Quad-City Times on January 22nd, 2004 that Lillian Scott (Beyer) passed away in West Liberty, Iowa. Ms. Scott was 104 years old. Send flowers to express your sympathy and honor Lillian's life. It was disclosed by Quad-City Times on January 5th, 2004 that Anna Miss Kline perished in West Liberty, Iowa. Kline was 97 years old. Send flowers to express your sympathy and honor Anna Miss's life. It was noted by Quad-City Times on December 17th, 2003 that Dennis R Batty perished in West Liberty, Iowa. Batty was 57 years old. Send flowers to express your sorrow and honor Dennis R's life. It was revealed by Quad-City Times on November 27th, 2003 that Helen M Enderle (Robinson) perished in West Liberty, Iowa. Ms. Enderle was 81 years old. Send flowers to express your sympathy and honor Helen M's life. West Liberty is a city in Muscatine County, Iowa County, Iowa, United States. 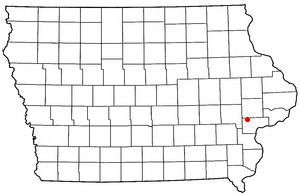 It is part of the Muscatine, Iowa Muscatine micropolitan area Statistical Area. The population was 3,332 at the 2000 census. . .
Visitation: 4-7 p.m. Friday, Nov. 5, funeral home. Burial: Overman Cemetery. Online condolences: www.wittichfuneralhome.com . WEST LIBERTY, Iowa - Minnie Cecil Atkins, 103, of West Liberty, died Tuesday, November 2, 2010, at Simpson Memorial Home. Arrangements are being handled by Wendt Funeral Home, Moline. Burial will be at the Neponset ... and Jeffrey (Audrey) Twing, West Liberty, Iowa; 12 grandchildren; and 16 great-grandchildren. Online condolences may be sent at www.wendtfuneralhome.com. Service: 10 a.m. Wednesday, Nov. 3, at at Lensing Funeral Service in Iowa City ... bachelor of science degree in nursing in 1994 from Iowa Wesleyan College. Shirley married L. Ray Young at the West Liberty Methodist Church on Aug.
Funeral services will be held at 2 p.m. Monday ... Jim was born February 23, 1940, in Iowa City, having been raised in the West Liberty area where he attended schools. After school he enlisted in the United States Navy serving one enlistment. funerals in West Liberty, IA 52776 on Yahoo! Local Get Ratings & Reviews on funerals with Photos, Maps, Driving Directions and more. Henderson-Barker Funeral Home, West Liberty, IA : Reviews and maps - Yahoo! Local, 319.627.2151. Get Ratings, Reviews, Photos and more on Yahoo! Local. We work with local florists and flower shops to offer same day delivery. You will find budget sympathy flowers in West Liberty here. Our funeral flowers are cheap in price but not in value.